The accident that made ‘smoke detectors’ mandatory. 2nd June 1983, at 33,000 ft, passengers noticed smoke wafting out of the rear lavatory on a DC-9, Air Canada 797, en route from Dallas to Toronto. Soon black smoke filled the cabin and the cockpit. Pilot made an emergency decent and landed at Cincinnati. 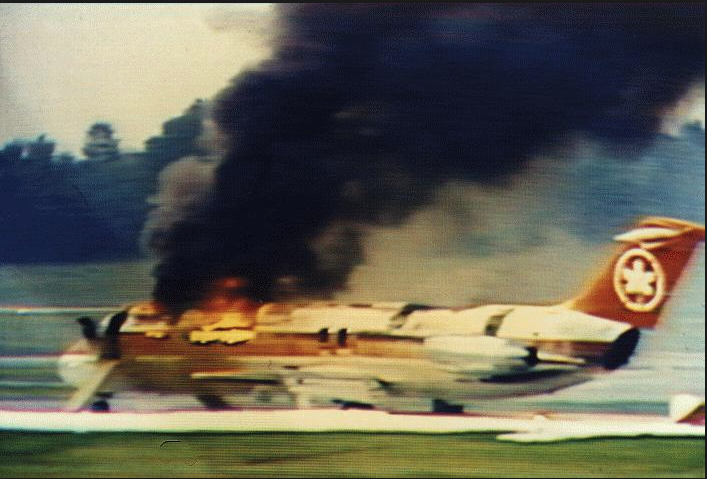 But shortly after emergency exit doors were opened, the cabin erupted in a flash of fire before everyone was evacuated. 23 out of 46 passenger died. Following this accident FAA mandated lavatory smoke detectors and automatic fire extinguishers. Within next 5 years, all Jetliners were equipped with fire blocking seat layers, and floor lighting to lead the passengers to exist in dense smoke.